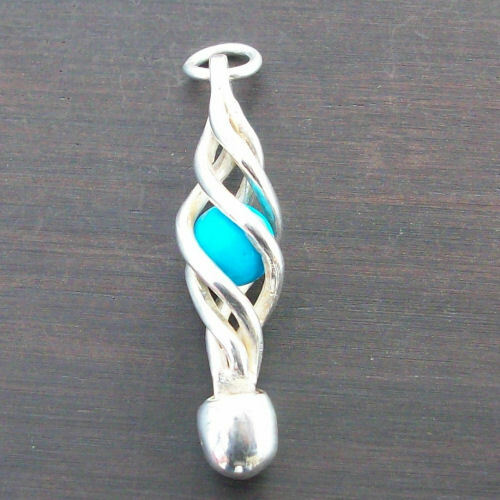 The large Eilidh pendant displays a delicate celtic twist capturing a turquoise bead. This design tails off with a droplet of solid silver. Ordered this for our daughter's 18th birthday present in gold. It looks fantastic and we can't wait to give it to her. Staff were amazingly patient with us and the necklace arrived in a beautiful box before we were expecting it to. Highly recommend this item and company.